there are a few blogs and sites i have been following for a few years. OK, i lurk on these sites, not commenting usually. i am often impressed and inspired by the artists who write them. a true original, massively creative and inspiring. she put me onto the socks for japan site and i just imploded. have been visiting family over there for the past two months. they are in kaga and safe on the west coast of the island. but i have been panic stricken for weeks. so when i saw the socks site i decided it was time to act. and i am taking my elementary school kids with me. 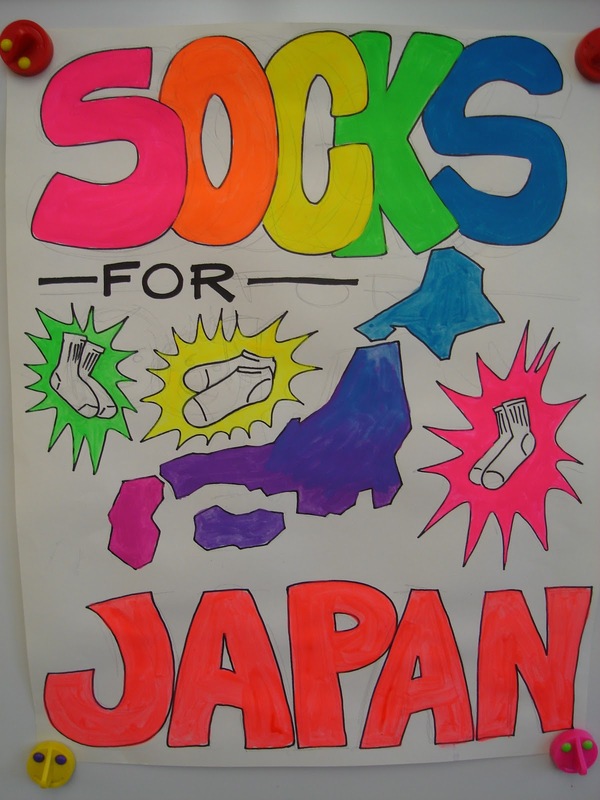 we will be collecting and packaging socks for shipment to japan. everyone is interested and willing to help. so i just had to put this out there and get into the frey, finally. and on your sock drive.